I noticed some people posting and reposting bold statements online that Japan is (the only) country that banned Islam. I searched a bit and found out that there are some mosques and Muslim societies in Japan, so it cannot be entirely true. Also, their constitution apparently provides for freedom of religion. However - can someone confirm or disprove if Muslims indeed cannot get permanent residency and citizenship? Is it true that there is a strong ban on the propagation of Islam in Japan? Are Arabic languages taught at Japanese universities? Is halal slaughter legal in Japan? I am aware that although Japanese culture is rooted in Shinto and Buddhism, the majority of people declare themselves to be nonreligious. It is conceivable that it is not the best ground for any new religion to grow. However, I am curious to what extent it is a cultural thing and what is actually protected by law. The [Japanese] constitution provides for freedom of religion, and other laws and policies contributed to the generally free practice of religion. There were some reports of societal abuse or discrimination based on religious affiliation, belief, or practice. There are no governmental statistics on the number of Muslims in the country. The Islamic Center estimates there are approximately 100,000 to 110,000 Muslims of whom 10,000 are citizens. g) Japan is the only country in the world having negligible number of embassies of Islamic countries. According to Wikipedia, Japan has embassies in many Muslim countries, including Egypt, Libya, Morocco, Sudan, Tunisia, Iran, Iraq, Saudi Arabia and many more. I'm not sure what is meant by "Islamic" countries, but Iran and Saudi Arabia surely qualify. I didn't find such clear reference to contradict other claims, but this example clearly shows that the author didn't bother to check his claims. There are also groups such as Halal Japan, which indicate which foods you can or can't eat in Japan. However, the word was banned to use, because it might be offensive to [Turkish] people. And the name has changed to [soapland] for more than 30 years. So I think younger generations might not think too much of the word, [toruko-buro]. There were some contacts between Muslims (Islam not being a race as there has been a sizeable Muslim community in China since the 8th century AD) and the Japanese in the Middle Ages. But the kernel of the modern Muslim community in Japan dates back to the beginning of the 20th century when Muslims of central Asia were banned from practicing their religion according to Soviet measures and some landed in Japan. The history of Islam in Japan is relatively brief in relation to the religion's longstanding presence in other nearby countries. 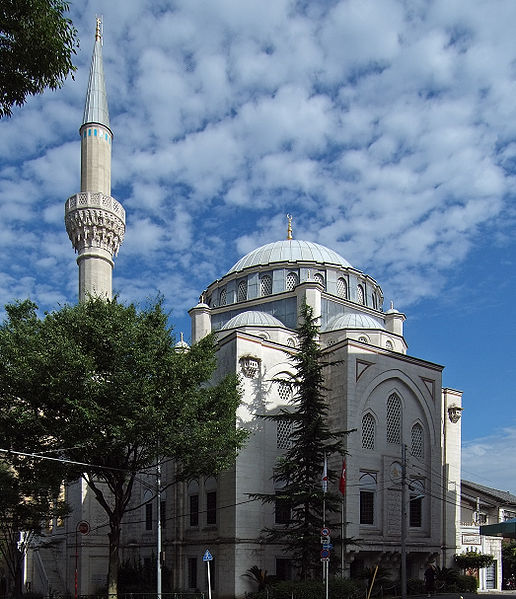 Islam is one of the smallest minority faiths in Japan, having more adherents in the country than the Bahá'í faith, but fewer than Christianity. Japan's Muslim population is around 70,000 which includes less than 10,000 of them as Japanese and the rest being foreigners (Majority of them are nationals from Southeast Asian countries). Reference: Ministry of Justice, Japan. According to Japan Times, there are more than 100,000 Muslims and 60 mosques in Japan. An Egyptian legal scholar based in Ibaraki, Osaka Prefecture, says he is working to increase understanding between the Japanese people and the more than 100,000 Muslims who live among them. Islam has gradually put down roots in Japan. There are now around 60 mosques, many of them established in former private homes. And there are no restriction on preaching Islam in Japan. Recently, Dr. Zakir Naik, a Muslim preacher, held a big conference where some people converted to Islam. One of the conferences (the topic was "What is Islam") were held in Kyushu University which is owned by the Japanese government. The authorities gave him permission to hold the conference and didn't interrupt the event for violating any laws. So, Islam is not banned in Japan, Promotion of Islam is not banned in Japan, switching into Islam is not banned in Japan and the Japanese government is in fact, quite friendly to Islam (compared to western countries). Edit: The OP asked some sub questions that I didn't address. I will try to address them all in this edit. Can someone confirm or disprove if Muslims indeed cannot get permanent residency and citizenship? Yes, Muslims can get Japanese citizenship. Japan has citizens who came from predominantly Muslim countries. And Japan doesn't list the religion of its citizens. According to 2008 Japanese government figures, 19.9% of registered Pakistanis lived in Saitama, 17.8% in Tokyo, 12.3% in Kanagawa, 10.4% in Aichi, 8.98% in Chiba, 7.59% in Gunma, 6.02% in Ibaraki, 4.44% in Tochigi, 4.21% in Toyama, 3.27% in Shizuoka, and the remaining 4.98% in other prefectures of Japan. Only an estimated 200 Pakistanis hold Japanese citizenship. Is it true that there is a strong ban on the propagation of Islam in Japan? Many Japanese wives of Pakistani migrants have converted to Islam, and in fact form the largest group of native Japanese converts to Islam. Are Arabic languages taught at Japanese universities? Yes. Andrew Grimm's answer has more on this. Is halal slaughter legal in Japan? Yes. In fact, local authorities of a Japanese town named Taito Ward subsidies halal food. In October 2015, Taito Ward began to provide up to ¥100,000 in subsidies to local businesses who wished to obtain halal certification. According to Takuji Kawai, director of the ward’s Tourism Section, applications were filed so quickly that the ward had reached its quota in just two months, and were forced to double it. What started out as three halal-certified restaurants and shops in Taito Ward, including Naritaya, became 19 in just a few months. In December, the ward also printed 10,000 copies of a Ueno/Asakusa map for Muslim tourists that show mosques, halal-certified restaurants, and Muslim-friendly hotels and souvenir shops in the area. The map went out of stock so fast that an additional 10,000 copies have already been ordered. Yes. You can study Arabic at the Tokyo University of Foreign Studies. Arabic is an official language of the United Nations and is spoken in many countries around the world. It also plays a significant role in Islam as the language of the Koran. Unfortunately, not many people in Japan understand the language, thus making it very difficult to directly hear the voice of the Arab world. There is also a Japanese-language page related to Arabic here (not equivalent to the English-language page). In the University of Japan Arabic or any Islamic language is not taught. Apart from Arabic, I'm not aware of there being such a thing as an "Islamic language", and the consensus on the Islam Stack Exchange is that there's no such thing as an Islamic language other than Arabic. However, if they think languages spoken in predominantly Muslim countries are "Islamic languages", then Indonesian would be one, and it is taught at the same university as mentioned above. Not the answer you're looking for? Browse other questions tagged law religion islam japan . Is Islam based on a moon worshiping cult? Did a banned treatise claim Leonardo da Vinci converted to Islam? Are swastikas commonplace in Japan? Are there criminal Lamborghini gangs in Japan?